^ Doing Business in Taiwan, China 2010. World Bank. [2010-08-20]. ^ 經濟成長率. 中華民國統計資訊網. 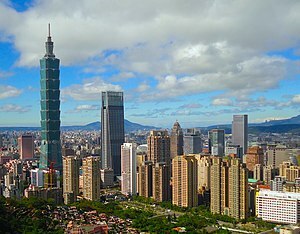 100-65台北市廣州街2號. [2016-08-24]. ^ 表九：臺灣對東協六國之進出口狀況 (PDF). 中華經濟研究院. 2014-03-07 [2014-03-30] （中文（台灣）‎）. ^ yilun. 台灣地區產業結構與勞動市場變化之研究 (PDF). webcache.googleusercontent.com. [2017-03-14]. ^ 中華民國進出口貿易統計. [2014-03-30]. （原始內容存檔於2016-03-09） （中文（台灣）‎）.